Sony has detailed the changes coming in v5.50 of the PlayStation 4 system software update. The highlight for parents with children who game Everything Parents Should Know About Video Games Everything Parents Should Know About Video Games If your children play video games and you don't understand much about them, we're here to help. Here's what you should know to make sure your kids have the best experience. Read More is a new Play Time Management feature, but there are also a number of new features and UI changes aimed at adult gamers. While having consoles constantly connected to the internet means developers can get away with patching unfinished games, it also enables Sony and Microsoft to update the consoles themselves with new features. And Sony’s latest system software update brings a host of improvements. The headline feature of v5.50 is Play Time Management. This lets parents and guardians manage the amount of time younger gamers can play on their PS4. This can be managed either on the PS4 or on the web, and kids will be warned when their time is almost up so that they can save and quit. Supersampling is potentially the most exciting feature for more mature gamers. It means that PS4 Pro owners Sony PlayStation 4 Pro Review Sony PlayStation 4 Pro Review Is the PS4 Pro such a big improvement that it's worth upgrading, or just a failed experiment? Let's find out. Read More can now “enjoy an enhanced visual experience when playing some PS4 games” even if they don’t own a 4K TV. Although why you’d buy a PS4 Pro without a 4K TV is beyond me. v5.50 will also let you delete old notifications, which is something all PS4 owners should be pleased about. Currently, old notifications stick around for forever, but you’ll now be able to delete single or multiple notifications with the press of a button. Lastly, Sony is making a number of updates to the library UI. These will help you separate games you’ve purchased vs. games you’ve acquired through PS Plus. You’ll also be able to hide apps such as trials or demos that you know you’ll never need to access again. System software update v5.50 is currently available to beta testers who signed up for the early release program. However, Sony usually starts rolling out new system software updates to non-beta testers within weeks of it first being spotted in the wild. 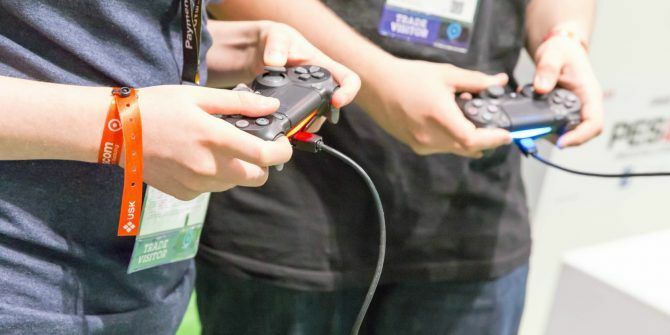 Are you a parent of children who game on a PS4? Are you pleased to see Sony adding a play time management system? Or do you let your kids play for as long as they want? What other v5.50 features are you looking forward to using? Please let us know in the comments below! Explore more about: Parental Control, Parenting and Technology, PlayStation, PlayStation 4, Sony. Myb son uses his PS4 to watch TV. It would be great if the "time limit" feature could be used for specific apps. Right now, the feature limits use of the PS4 for all apps the same way. If I set it for an hour, then it turns off. I wish I could limit just "game" time and not, let's say..."Youtube" time.